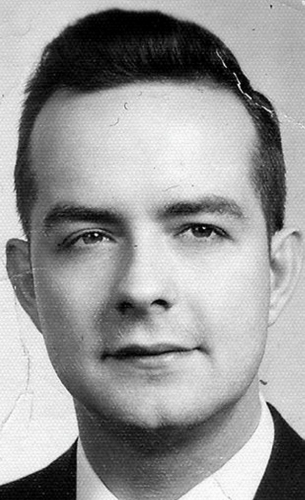 Edward F. "Ted" Moylan, 87, Carbondale, died Thursday at the Forest City Nursing Center. His wife is the former Nancy Cost; the couple would have celebrated their 56th wedding anniversary in October. Born in Carbondale, son of the late Edward A. and Sarah Mannion Moylan, he was a member of St. Rose of Lima Church, Carbondale. He was a graduate of Benjamin Franklin High School class of 1949. He was a veteran of the Pennsylvania National Guard. Ted was a 4th degree member of the Knights of Columbus Council 329, Carbondale. Before retirement, he was employed as the district manager for The Scranton Times-Tribune in its Carbondale office and later in its circulation department for over 38 years. Also surviving are two sons, Jack Moylan and wife, Brenda, Robesonia; Jamie Moylan and wife, Dawn, Jefferson Twp. ; five grandchildren, Christopher, Alyssa, Adrianna, Vanessa, Madison; a great-granddaughter, Tenley; four sisters, Mary O'Millian, Ann Price, Alice Mang, Patricia Neary, all of Carbondale; and several nieces and nephews. He was also preceded in death by a brother, James Moylan. The funeral will be Monday from the Brennan & Brennan Funeral Home Inc., 55 Lincoln Ave., Carbondale, with a Mass of Christian Burial at 9:30 a.m. in St. Rose of Lima Church, Carbondale. Interment, Our Mother of Sorrows Cemetery, Finch Hill.